Barbera Frantoia Sicilian Lemon olive oil...luscious essence of lemon! Produced from 100% Sicilian olives pressed with lemons. Lemon Olive Oil is perfect for salad dressings, brushed on just-broiled or grilled fresh fish, or roasted potatoes with rosemary. For a lemony-twist blend into mashed potatoes in lieu of traditional butter. 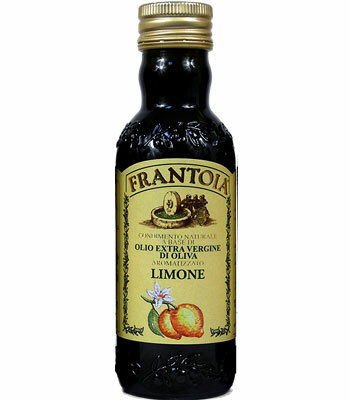 Barbera Frantoia Sicilian Extra Virgin Olive Oil / Lemon Oil.